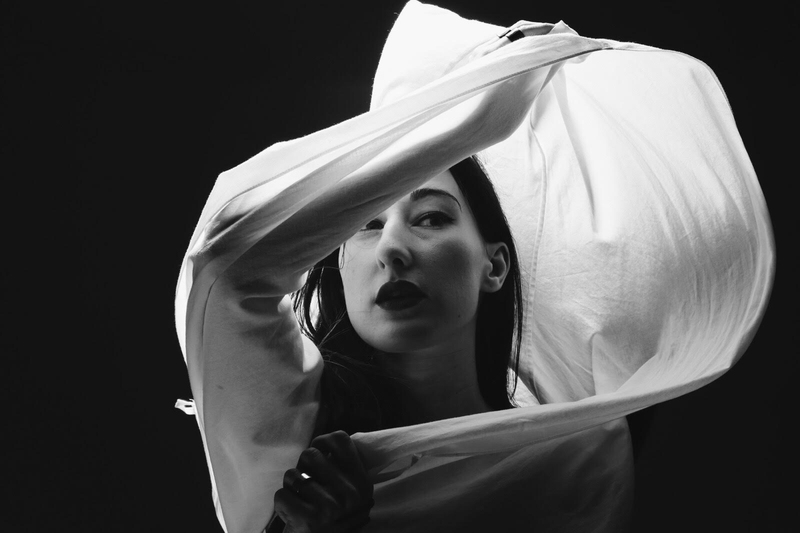 For over a decade, Nika Roza Danilova has been recording music as Zola Jesus. She’s been on Sacred Bones Records for most of that time, and Okovi marks her reunion with the label. Fittingly, the 11 electronics-driven songs on Okovi share musical DNA with her early work on Sacred Bones. The music was written in pure catharsis, and as a result, the sonics are heavy, dark, and exploratory. In addition to the contributions of Danilova’s longtime live bandmate Alex DeGroot, producer/musician WIFE, cellist/noise-maker Shannon Kennedy from Pedestrian Deposit, and percussionist Ted Byrnes all helped build Okovi’s textural universe. With Okovi, Zola Jesus has crafted a profound meditation on loss and reconciliation that stands tall alongside the major works of its genre. The album peaks of tragedy with great wisdom and clarity. Its songs plumb dark depths, but they reflect light as well. Last year, I moved back to the woods in Wisconsin where I was raised. I built a little house just steps away from where my dilapidated childhood tree fort is slowly recombining into earth. Okovi was fed by this return to roots and several very personal traumas. While writing Okovi, I endured people very close to me trying to die, and others trying desperately not to. Meanwhile, I was fighting through a haze so thick I wasn’t sure I’d find my way to the other side. Death, in all of its masks, has been encircling everyone I love, and with it the questions of legacy, worth, and will. Okovi is a Slavic word for shackles. We’re all shackled to something—to life, to death, to bodies, to minds, to illness, to people, to birthright, to duty. Each of us born with a unique debt, and we have until we die to pay it back. Without this cost, what gives us the right to live? And moreover, what gives us the right to die? Are we really even free to choose? This album is a deeply personal snapshot of loss, reconciliation, and a sympathy for the chains that keep us all grounded to the unforgiving laws of nature. To bring it to life, I decided to enlist the help of Alex DeGroot, who has been the only constant in my live band and helped mix the Stridulum EP back in 2010. It will be released on Sacred Bones, the closest group of people I’ll ever have to blood-bound family.